Is happiness in your DNA? The LostCousins newsletter is usually published fortnightly. To access the previous newsletter (dated19 November 2011) please click here. Whenever possible links are included to the websites or articles mentioned in the newsletter (they are highlighted in blue or purple and underlined, so you can't miss them). When you click on a link a new browser window or tab will open so that you don’t lose your place in the newsletter - if nothing seems to happen then you probably need to enable pop-ups in your browser. To go to the main LostCousins website click the logo at the top of this newsletter - it's free to join! Last week I received a response from the General Register Office to my latest enquiries under the Freedom of Information Act - and what a curious state of affairs they reveal! Between the announcement of the increase and its implementation I attempted to use the Freedom of Information Act to find out how they had calculated the new price, but it took them 8 weeks (twice the statutory limit) to provide the answer. When I did, I was amazed at their naivety! If the figures supplied to me are the only ones upon which the pricing decision was taken, then I am shocked - they don't appear to have considered the possibility that a lower price for certificates might produce a greater income. Buying the special paper and printing the certificates costs just 16p per certificate; posting a certificate costs just 23p on average. The rest is accounted for by staff costs, IT, property costs, depreciation, bank charges, and 'support services'. Surprise, surprise - when the accounts for the 2010/11 year were published, the GRO's income from certificate sales hadn't increased to reflect the 32% increase in prices - it had actually fallen by 6.1%, even though tens of thousands of certificates ordered just before the end of the 2009/10 year (to beat the price increase) were not despatched until the new financial year. The latest information I have received from the GRO confirms that the revenue from those last minute sales is recorded in the 2010/11 accounts - without it the figures would have looked even worse. When they set the new prices the GRO assumed that income from certificate sales in 2010/11 would total £18.846 million, but the actual sales were just £15.894 million (nearly 16% lower than forecast). Perhaps they should have taken my advice and reduced their prices instead of putting them up? We have been advised that there is no clear remit in statute for charging for a service to check additional index references, or to retain partial fees. In order to ensure full legal compliance, and in view of the fact that we cannot afford to offer this service free of charge, we are regretfully withdrawing our reference checking service from 6 April. This will include the withdrawal of the "checking points". In my latest Freedom of Information request I asked the GRO to "explain why a government body requires statutory authority to charge for extra-statutory services". It seems ridiculous that the GRO cannot provide a service that members of the public are happy to pay for, simply because there is no law saying that they can. My understanding of English law is that it sets out what you can't do - everything else is therefore legal. However this commonsense view doesn't extend to the GRO, who wrote on 5th December 2011 that "our understanding is that the statutory powers of the Registrar General to charge fees are exhaustive; that is, if there is currently no provision specified in statute then there is no power to charge a fee." At least they've made their position clear..... or have they? When the fees were revised last year they abolished the differential between applications which included the index references and those that didn't. After all, if you don't include the index references, how does the GRO know which certificate to supply? As ever, there's only way to find out for sure - so I asked: "If the applicant specifies the name(s) of the parent(s) are these checked against the registers and, if so, doesn't this mean that checking services are still being provided, but not charged for?" Apparently that's exactly what it means, because they responded "Parents details if provided, may be used with other information to confirm a correct entry has been identified." I then asked "If there is insufficient information provided to differentiate between several different events which match the criteria provided, what happens?". They replied "If there is insufficient information provided to identify an entry, a full refund is provided." Your head may be spinning as you read this - it took me quite a while to get my head around it. First they withdraw the checking services because they can't charge for them, and can't afford to provide them free of charge - then they admit that they are doing just that! No wonder they lost money on certificates last year. One of my favourite comedy films is The Inspector General starring Danny Kaye, in which (to quote the Internet Movie Database) "an illiterate stooge in a travelling medicine show wanders into a strange town and is picked up on a vagrancy charge. The town's corrupt officials mistake him for the inspector general whom they think is travelling in disguise." Having read the previous articles you might be wondering, "Why does it matter if the GRO is inefficient so long as I get the certificates I need?" The problem is, we're paying for the GRO's inefficiency - because their aim is to break even on the sale of certificates. Inefficiency means higher prices, which results in fewer certificates being ordered - so everyone loses out. Isn't it ironic that in 2009/10 (when certificates were only £7 each) the GRO made a profit of over £2 million, but in 2010/11 (when they'd gone up to £9.25) they lost £0.5 million? Put me in charge of the GRO in place of Danny Kaye, Norman Wisdom, Fred Karno, or whoever it is at the moment, and the first thing I'd do is commission some proper market research, to find out how many more certificates could be sold if the price was cut to (say) £5. "Ah", you might say, "won't the registers soon be online, as the Scottish registers have been for many years?". That would indeed be wonderful - but it isn't what they are currently planning. All we'll have online access to is an index - so if and when their digitisation and indexing project is finally completed we won't be that much better off than we are at the moment! "However, we are reaching the limits of the changes that can be made within the confines of our existing legislative framework. In order to continue to modernise, IPS is considering what the content of any new primary legislation should be as part of a possible Civil Registration Bill." "The GRO indexes were first made available to purchase in 1985. More recent advice led us to conclude in 2006 that there was no clear basis for the Registrar General to make the indexes available in this way, and it was decided to cease such provision." You might think the decision is in some way connected with the Data Protection Act - but as the same information is available on microfiche at half a dozen libraries and archives around the country this surely can't be the case. The 1836 and 1837 Acts that created the General Register Office and the Civil Registration systems do not impose any restrictions on the viewing of indexes or registers. It's true that the only obligation imposed on the Registrar General is to make the indexes available for searches, but times have changed in the past 175 years - in 1837 there were no scanners or photocopiers, and cameras were in their infancy, so it's hardly surprising that they wouldn't want to risk the original registers being damaged or defaced. Nevertheless, even though the 1837 Act was designed to clarify the 1836 Act, there was still nothing to prohibit the viewing of the registers by members of the public (and I'm fairly certain that in the mid-19th century lawyers were allowed access). When you think about it, doesn't it seem strange that many of the marriage registers held by churches can now be viewed online, yet the GRO claims that it cannot legally allow access to the copies it holds of the same registers? Perhaps it's less about the law than the status of the GRO? Just over 20 million of the 36 million individuals recorded in the 1911 England & Wales census have now been indexed by Ancestry. If you follow this link then click on the County or Island box you'll see a list of the counties that are currently fully or partially indexed. Tip: the entire 1911 England & Wales census is already available at findmypast - click here to carry out a free search. I understand that from January the information in the final column of the census form will no longer be redacted, so we'll soon be able to find out whether our ancestors were deaf, dumb, blind or feeble-minded. In October findmypast added indexed transcriptions of the 1841 and 1851 Scotland census; now they have added 1861. Almost 500 members of the Society of Genealogists, the most highly-respected family history society in the world, have joined LostCousins in the past 3 weeks, and this influx should lead to thousands of extra matches with 'lost cousins' in the coming weeks as these new members complete their My Ancestors pages. Tip: if you've joined LostCousins recently I'd recommend that you start by entering your relatives who were recorded in 1881, since this is the census that most other members have used. I have related all too many sad tales about graves and graveyards in my newsletter this year, so I'm glad to be able to end on a more positive note. Tony wrote to tell me about a scheme in Buxton whereby local people are invited to adopt a grave in the churchyard - and mentioned that they sometimes research the person whose grave they've adopted. It immediately struck me that this would be an ideal application of LostCousins' Historical Research feature, which allows members to enter people who are unrelated, but whose lives they are researching. "The little walled town of Montreuil was the focus of a spider’s web of wires, at one end of which were the soldiers in their trenches, at the other the workers of the world at their benches." The BEF was a multinational, multicultural force, drawing on troops from across the Empire: from England, Wales, Scotland, Ireland, Canada, Australia, India and New Zealand. And there was extra support from thousands of non-combatant Chinese. Given the scale and importance of the undertaking, it’s surprising that the Montreuil operation is one of the least known aspects of the Great War. But all that is about to change: a British charity, the Expeditionary Trust, has been established to create a permanent Heritage Centre in Montreuil’s historic Citadel, which was the GHQ’s communications centre. Research is under way to develop the Centre and the Trust’s Director, historian Terence Hughes, has been working closely with the civic authorities of Montreuil, who have donated the massive casements of the Citadel for use by the Trust, and other organisations such as the Imperial War Museum. The aim is to have the Heritage Centre up and running in time for the Great War centenary in 2014. The Trust is dependent on voluntary contributions. How fast they go will depend upon how much funding can be raised and the information and material that can be gathered to set this historic “back room” effort in context. Maybe you had an ancestor who worked at Montreuil and you would like to share their story and any information you may have with the Trust? 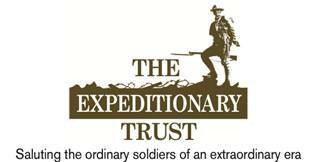 This article was written by Carol Allen, a LostCousins member who is working with the Expeditionary Trust. In the latest issue of Your Family Tree there is a letter from a reader who couldn't find a birth registration for her grandfather, Charles Henry Gay, son of Henry Pearson Gay and Amelia his wife, whose maiden name was also Gay. There were 13 children in all, and finding the other 12 births proved no problem whatsoever - so was it really likely that the birth of one child out of 13 would not have been registered? Eventually the reader spotted a Charles Henry Pearson whose birth was recorded in the right quarter, and in the right registration district - and when she took a chance and ordered the certificate her hunch proved to be correct. It proved not to be an indexing error - the father's name had been recorded as Henry Pearson, rather than as Henry Pearson Gay, possibly as a result of confusion about the maiden name. Tip: the longer you've been trying to break down a 'brick wall', the more likely it is that you're looking in the wrong place, probably because you've made an assumption or been misled by erroneous data. Information passed down within the family is very rarely right in every detail, and quite often it is completely wrong! As I was finalising the newsletter this morning I heard a BBC Radio 4 broadcast about Locating London's Past, a project involving the Institute of Historical Research and the Universities of London, Hertfordshire, and Sheffield. 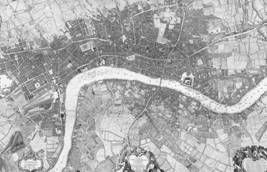 Using John Rocque's 1746 map of the capital it allows you to plot historical data on the map and zoom in on any points of interest. The data covers the period 1680-1820 and includes data from the London Lives project (which I've written about in the past) as well as Plague records from 1665 and Hearth Tax records for 1666 (ironically the year of the Great Fire). You can see a list of the records included in the London Lives project here (they include a selection of parish records, criminal records, workhouse records,and hospital records). I haven't yet had time to explore the site in great detail, but it seems well worth a visit if you had ancestors living in London in the 18th century - just bear in mind that even though there's a wealth of data, it's only a small part of what has survived. For parish records from the London area the most comprehensive resource is the London Metropolitan Archives, and you'll find the registers online at Ancestry. The SoG has recently made available to members images of poll books from 25 counties. Currently they are unindexed, but the society is hoping that members will volunteer to create indexes. Poll books not only record the small minority of the population who were entitled to vote, but also how they voted! There are millions of online records available to SoG members; some of those records are also available at the findmypast site, but to access the complete collection you need to be an SoG member. If you're serious about family history, as I am, it make sense to belong to the world's leading genealogical society. Even though it was formed 100 years ago, before women could vote, the SoG has always welcomed women as well as men - indeed, as Else Churchill records in the latest Journal, one of the founder members was a lady. (1) The joining fee (normally £10) will be waived. (2) Your subscription and member privileges will start immediately, but you won't have to renew until 1st January 2013. (3) You'll get a 2012 subscription at the 2011 rates, saving you a further £2. (4) If you live in the UK you can save a further £3 this year and every year by completing the Direct Debit form. You'll find the Membership Application form here (it's in PDF format). The rates shown on the form are the 2011 rates, so if you live overseas the total cost for a subscription that runs until 31st December 2012 will be just £27, and if you live in the UK it will be £42 (when you agree to pay future subscriptions by Direct Debit). Please enter the offer code LC11 in the box labelled Membership Fees. The Society of Genealogists is the UK’s largest family history society with a remarkable library and education centre in Clerkenwell (close to the London Metropolitan Archives), online data and an extensive publishing programme. As a member you'll get a discount on most of the publications and courses - more information can be found on the SoG website. Tip: there is an SoG mailing list at Rootsweb which is only open to SoG members. Recently published research has determined that about one-third of the variation in people's happiness is inherited - as with most studies that attempt to separate nature from nurture this one used twins. Reading about this research got me wondering whether it might be possible to trace our happiness (or lack of it) back to specific ancestral lines using photographs of our ancestors? What do you think? A $10 million prize has been offered by the X Prize Foundation in California to the first team who can accurately sequence the genomes of 100 centenarians AND do it at a cost of less than $1000 for each genome. There are two aims - one is to find out how people who live to 100 differ genetically from others; the other is "to push the industry to develop, more accurate, faster and more cost effective sequencing technologies". Irrespective of the findings on longevity, this contest will have a beneficial impact on genetic genealogy, because sequencing entire genomes at a reasonable cost must be our ultimate goal - there are 6 billion base pairs, 3 billion from each parent, so the quantity of data available to us far exceeds that currently utilised in DNA tests. Note: I'm currently reading DNA and Social Networking, a new book written by LostCousins member Debbie Kennett, and published by The History Press - what I have read so far is excellent. I'm delighted to say that it's also available in a Kindle edition, one of the few genealogy books that is. Picture postcards are such a part of our lives nowadays that it's hard to imagine a time when they didn't exist. Even though we don't write as many letters as we used to, postcards sent while on holiday are a great way to share our joy with others. I didn't realise until recently that until 1894 it was illegal to send a picture by post - it certainly explains why the earliest picture postcards I've seen date from the Edwardian era. Even when picture postcards were legalised, the reverse of the card was reserved for the address - it wasn't until 1902 that the Post Office relented, and allowed messages to be written there. 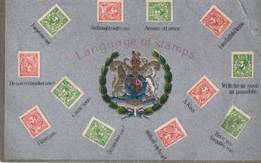 Even so, not everyone wanted the postman to know about their personal life, so some people used code or mirror-writing - or sent messages by varying the orientation of the stamp, as you can see from this postcard entitled Language of Stamps (from my personal collection). This year there was no winner in the Tomato Jam category. The only submission this year was described as Mild Sweet Chilli and Tomato jam, but try as we could, we were unable to regard it as a jam - though it was excellent with cold meats. Jenny will receive a one year subscription to LostCousins as a consolation prize. The Runner-Up in the Open category, with the highly unusual combination of Blackberry & Peach laced with Brandy, is Carol in Canada - it was actually her friend Ellie who made the jam, but it is Carol who will receive a one year subscription to LostCousins. And now, the moment you've all been waiting for - the Grand Winner is Sandra, who submitted the excellent Greengage and Pear jam made by her husband Don. It was not a combination I would have thought of, but the judges (my wife and I) agreed that it worked extremely well. Sandra will receive not only a one year subscription to LostCousins, but also a jar of my own Wild Plum jam. Thank you to everyone who entered - I hope that many more of you will enter next year. Start saving little jars now, because not only would it be expensive to send a full-size jar through the post, there's a limit to how much jam I can eat, even when it's as good as this year's entries! You may recall that the Federation of Family History Societies is holding a competition to "Write an account of your most interesting person and bring them to life in no more than 1,000 words." You'll find more details of the competition and prizes here - note that it ends on 31st December. If you do decide to enter, email me a copy of your entry and in the New Year I'll award free LostCousins subscriptions for the ones that I found most interesting. Tip: I won't be looking for tales about the rich and famous, but for seemingly ordinary people who did extraordinary things (and I suspect the same strategy might win over the FFHS judges too). I've already mentioned a couple of money-saving tips above: 20% off at Francis Frith, and an even bigger saving for new members of the Society of Genealogists. But Christmas wouldn't be Christmas unless I told you how to save money on food. First make sure you have some room in the freezer; then find out what time your local supermarkets are closing on Christmas Eve. When the day arrives aim to get to your favourite supermarket about 2 hours before it's due to close - you'll find that a lot of things are marked down to half price. However, if you make discrete enquiries of the staff you may well discover that they are getting ready to halve the prices again - and there's nothing I like more than a turkey that's 75% off the original price! Of course, you may find that your favourite supermarket has already sold out - in which case try one of the others. And be imaginative - you may not be able to freeze oranges or tomatoes, but you can turn them into juices or sorbets. And in winter you don't have to put everything in the fridge - the garden shed will probably be quite cold enough for fruit and vegetables. The short days of winter can be depressing, so why not splash out on a trial subscription to The Oldie, a magazine that always puts a smile on my face? Currently you can get 3 issues for just £3 (ie £1 each) when you click here. Or, for a more practical solution to the seasonal gloom, there's always the SAD Light Box that I bought from Maplin last winter and am using once again this year. It's currently discounted to just £39.99 (and you can save an extra £3 on any purchase of £30 or more with the voucher code Discount3, or £5 on a purchase of £50 or more with the code Discount5). There isn't a good time of the year to be hit by a virus, especially one of the computer kind. After trying several anti-virus programs which - whilst keeping out the viruses - introduced other unwanted problems, three years ago I reluctantly took my wife's advice to try Kaspersky Internet Security (which she had been happily using all along). And, of course, since then I haven't had anything to complain about! Anti-Virus and Internet Security programs are re-released every year - and the strange thing is, it's usually cheaper to buy the new version than to purchase a one-year licence extension for the existing one. For example, right now you can buy Kaspersky Internet Security 2012 for under £20 at Amazon, even the version that covers three PCs! I'm going to end with some family history offers. First an offer that's very hard to refuse: Family Tree Maker 2012 Platinum Edition is now down to just £29.99, also at Amazon - and shipping within the UK is free. 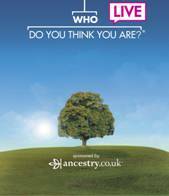 It isn't the best family tree program by any means, but at this price you can afford to throw it away - because it comes with a free 6 month Premium subscription to Ancestry.co.uk! This means you're saving over 40% compared to an Annual subscription even if you use the CD ROM as a coaster (and compared to a Monthly subscription the saving is over 60%!). It's an ideal solution if, like me, your preferred site is findmypast but you find it hard to manage without the parish records at Ancestry (because all of my family lines passed through London the London Metropolitan Archives registers are essential for my research). However, it's also much cheaper than renewing an existing Ancestry subscription, not least because Ancestry don't offer any loyalty discount (unlike findmypast). Warning: prices at Amazon can and do vary - and this one can surely only go up! Genopro, the family tree program I use, is very different from all the others - I like it primarily because it gives me complete control over how my family tree appears, and allows me to fit more relatives into a smaller space than any other tree program. However, it also makes it easy to split my tree, so that when I exchange information with a new cousin I can send them the part that's relevant, rather than giving them my entire tree. If you click here you can get a free 14-day trial of Genopro and save at least 10% should you subsequently decide to buy it (see my April newsletter for a gentle introduction to the program). The 2012 Who Do You Think You Are? Live show takes place at London's Olympia between 24th-26th February. LostCousins won't have a stand, but I'll be there to find out what's new in the world of genealogy so that I can report back to you in my March newsletter. It's also a great opportunity to meet people face to face - for the rest of the year I do everything over email. If you live within striking distance of London why not go along - and take a friend with you, because when you book using the offer code LST2425 you can get 2 standard tickets for £25 (they will be £22 each at the door). Please note, however, that whether you order online or over the phone there is a £2 booking fee which can't be avoided, so it's best to buy all the tickets you want in a single transaction. Click here to find out more or to purchase tickets. Finally, I thought you'd like to know right away that between Christmas and New Year the LostCousins site will be totally free - all members will have subscriber privileges whether nor not they have paid a subscription. This means that now would be a great time to bring your My Ancestors page up to date - because there's nothing as rewarding as finding a new cousin at Christmas time! Tip: whilst it's important to enter your direct ancestors and their households, did you realise that the relatives most likely to link you to your 'lost cousins' are the brothers, sisters, and cousins who had families of their own in 1881? If you haven't found your 'lost cousins' yet it's likely that you haven't entered these key relatives! Also, from now until the end of December you'll get an extra month free when you purchase a LostCousins subscription (or renew an existing subscription). Simply enter the code BAKERSDOZEN in the Special Offers box on the Subscribe page. Remember you can now pay by American Express or PayPal as well as the more conventional Visa and Mastercard - and unlike supermarkets we still accept cheques (just so long as you have a UK bank account). This where any last minute amendments will be recorded or highlighted. I hope you've found my newsletter interesting, and that you'll keep writing in with tips of your own - many of the best articles are inspired by members.